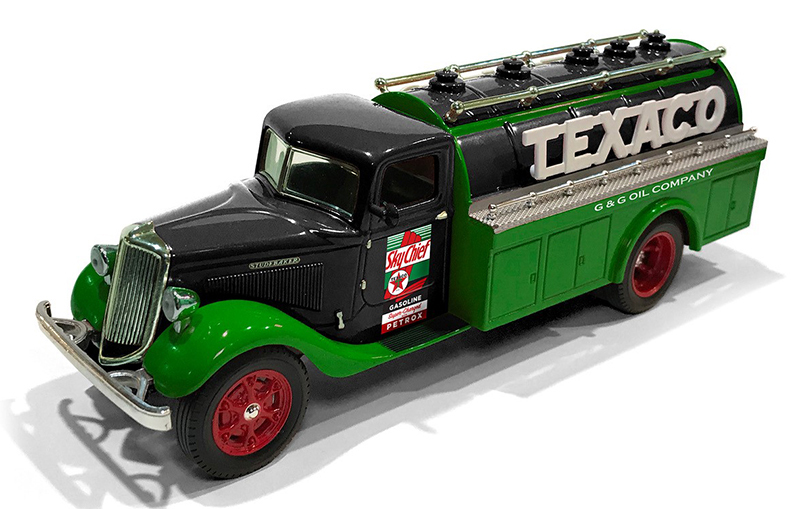 Vintage Fuel proudly introduces their latest series in the Texaco line-up… The Brands of Texaco. In this new series Vintage Fuel will be faithfully reproducing many different vehicles used by Texaco jobbers and distributors to deliver quality, dependable Texaco products in the mid 20th century. During the 1930s, Studebaker gained a substantial foothold in the burgeoning commercial truck field. Studebaker built many quality large size trucks, buses and fire engines chassis, including this iconic 1939 Texaco tanker truck. Studebaker’s large sized truck production ran continuously from 1929 until December of 1963, an incredible accomplishment for any vehicle manufacturer.